Starring: Teresa Palmer, Gabriel Bateman, Alexander DiPersia, Maria Bello and more. Another day, another horror film release. 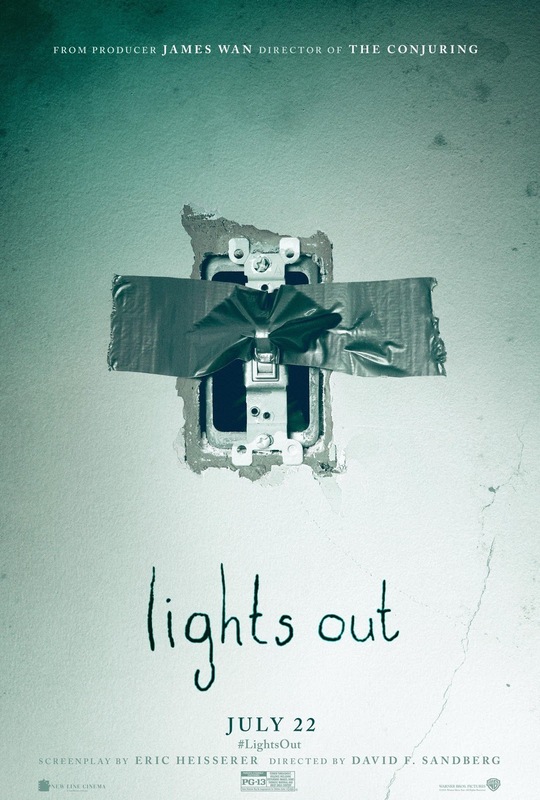 July 22, 2016 dates the release of horror film, ‘Lights Out’. Hype ran real as this film began to debut its trailers and announcement, especially slapping on the fact that James Wan is the producer, but can it live up to the hype generated? ‘Lights Out’ follows a family who is seemingly being haunted by an entity with terrible intentions. When the youngest of the family, Martin (Gabriel Bateman), witnesses his mother, Sophie (Maria Bello), talking to another individual that is unseen, it seems to him that she is sick. Her strange actions, however, scare him to such a point where he can not sleep and his academics begin to be affected due to it. When the school tries to get in contact with Sophie and fails, they get in contact with the estranged sister of Martin, Rebecca (Teresa Palmer). Haunted by a childhood that caused her to move away from the family; Rebecca and Martin set out to figure out what is wrong with their mother but experience that she is simply not sick but someone, something, is connected to their mother and bringing this terror to the family. I was pleasantly satisfied with this flick. ‘Lights Out’ is possibly one of the best (and I use “best” lightly, do not get up in arms) PG-13 films I have seen in awhile. Normally, you see some spooky jump scare trailers and the PG-13 tag and would immediately (at least I would) slate this off with the high chance of failure. Two things kept me from doing that; 1. Tagging James Wan as the producer and 2. Making it about something people are genuinely afraid of. Let me explain that one a bit. How many of you ever had that fear of running up your steps from your basement because the creepy monster was coming up behind you? How many of you closed your closet doors at night because of the spooky ghosty that would come out if you did not? ‘Lights Out’ brings that popular fear of when you turn the lights out, a being is there, but when you turn them back on? It is gone. Truly terrifying for some, genius in regards to the creators. Concept aside, ‘Lights Out’ did jump scares impressively well, and that is me saying that. For an hour and twenty-one minute long movie, the plot creates detailed characters with deep stories and also throws in a solid plot-twist that some may not see coming. My own major gripe though? The classic horror-stupid decisions. It is common knowledge that the IQ of the typical human drops ten-fold in horror movies, well this film proves it. All in all, ‘Lights Out’ is a satisfying horror film, and quite possibly one of the best PG-13 ones I have seen in a long time. Highly recommended and good luck sleeping at night!